Fry beef with 2/3 of the olive oil and a pinch of salt and generous grind of pepper in a wide pot until browned, season well to taste, stir often using a whisk to break meat up. 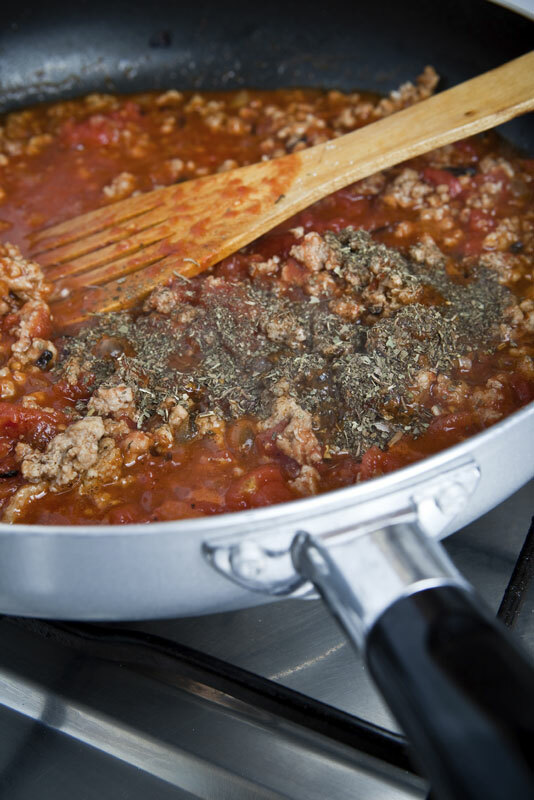 Remove to a bowl and drain any residual fat from your browned mince. Add the vegetables to your pot with remaining oil and sweat gently until tender. Add tomato paste, Huffman’s Bloody Mary Ketchup, and white wine. Raise the heat and reduce until thickened coating the vegetables occasionally. Add water or chicken stock and the cooked beef mince. Cook until thickened, 30 min or so. Season with herbs, Huffman’s Chilli Pepper Hot Sauce to taste. Serve with freshly cooked spaghetti and a sprinkling of chopped flat leaf parsley.